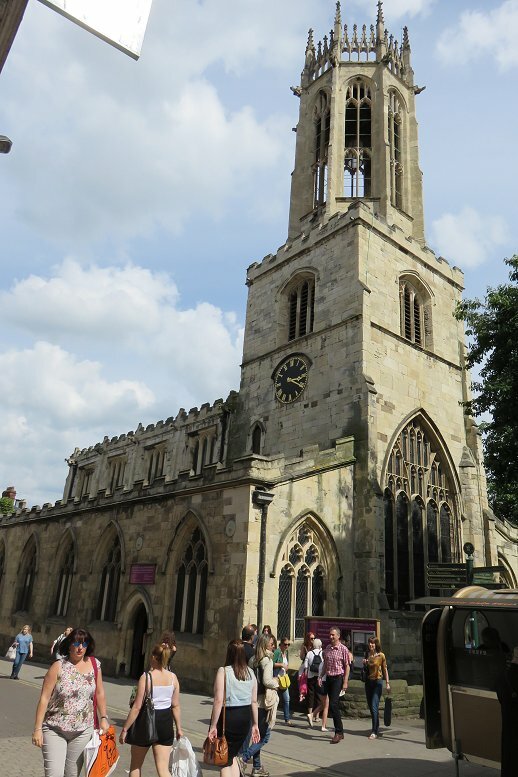 In his book England's Thousand Best Churches, Simon Jenkins says "York has England's finest set of medieval town churches... each neighbourhood owing allegiance to an often tiny place of worship....". With such a concentrations of churches within the city centre, it is perhaps not surprising that there are two bearing the same name of All Saints. 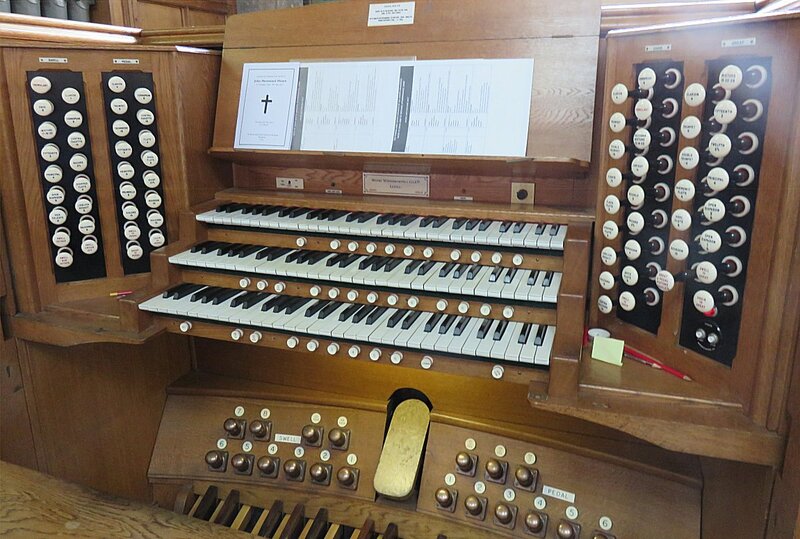 The previous Organ of the Month was in All Saints North Street, and this month we feature the larger 3-manual instrument in the 14th century Guild and Civic parish church of All Saints Pavement, which is also the regimental church of the Royal Dragoon Guards. 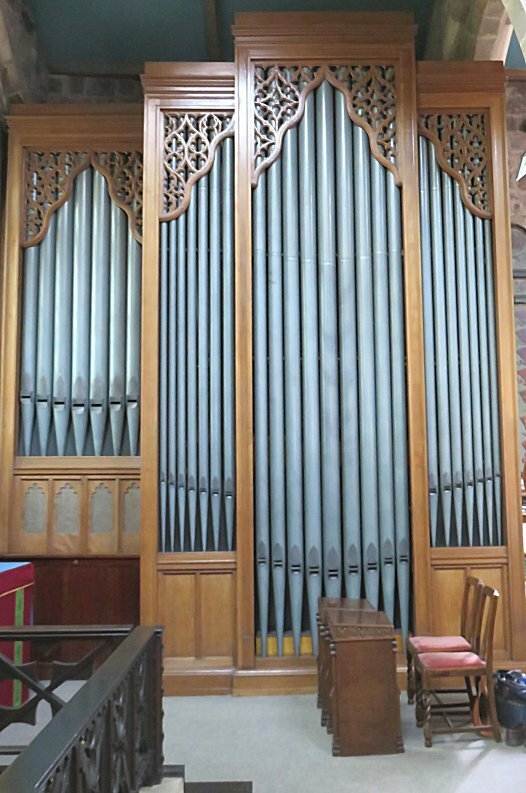 It is claimed that the present instrument incorporates some pipework from a 1771 organ by John Snetzler. It and its successors were moved to various locations within the church, eventually becoming a III/26 instrument completed by the local firm of Hopkins in the early years of the 20th century. The present enlarged (although with considerable extension/borrowing) instrument dates from 1964, the work of Wood Wordsworth & Co of Leeds. The case (see right photo) is of light oak and features 16ft Violone and 8ft Diapason pipes. You can hear another archive recording of Francis Jackson playing the York Minster organ as June 2018's Music of the Month.